Secret Golf is a platform for golfers to seek instructions from leading tour professionals on all aspects of the game. It is a freemium membership website that features videos of founder Steve Elkington interviewing golf professionals at various golf courses around the U.S.
Secret Golf is a very unique customer for New Breed. They’re forging a new path in online golf instruction and is the golf industry's first player-owned golf media and production company. Through the unique combination of technology and exclusive tour player content, Secret Golf is able to deliver golf instructional videos from the best players and coaches in the world to amateur golfers based on what instruction they need to improve their game. They're radically disrupting the golf media landscape by putting players (instead of major TV networks and the PGA tour) in control of the golf content that's available. To further their mission, the team recognized they needed to supercharge their online presence and identify additional means of attracting their ideal audience to their website. Secret Golf came to New Breed through our referral network, looking for a seasoned HubSpot partner agency to help drive and support significant customer growth through the implementation of inbound strategies. 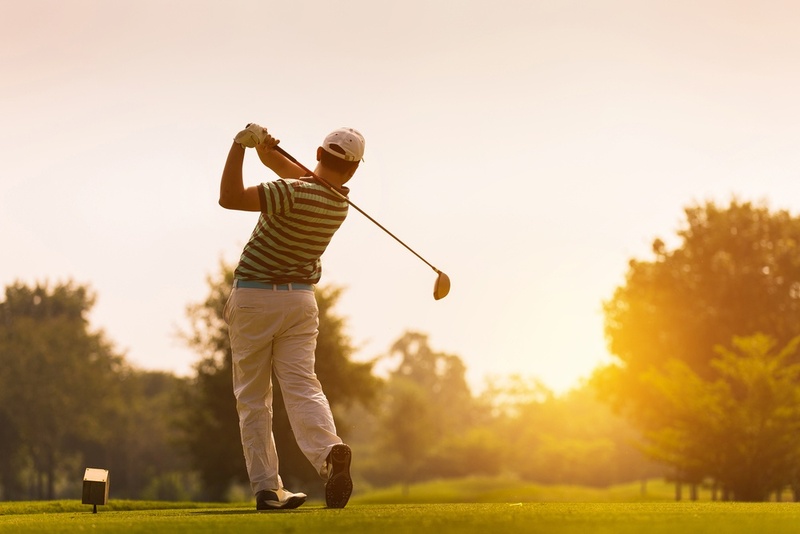 They wanted a partner who could uphold inbound best practice while tailoring a solution to their specific audience: golfers, of all shapes and sizes. But, it's not your typical B2C play. Secret Golf not only set their sights on organically increasing their customer base, but also planned to build and leverage a robust partner network to support in revenue generation. The team wanted to ensure that everything they produced in 2018 would have appropriate attribution so they could better understand the value of their efforts and double down in the areas where they were seeing the most success. Together, we helped them define who they were trying to reach, how we'd go about reaching them and built the strategic framework from there. We did this for each component of their inbound strategy, beginning with social media. Working with New Breed, Secret Golf went through our typical process that began with the Growth Acceleration Workshop to lay the foundation for their marketing plans. Through the initial workshop, we defined the primary buyer personas — everything from their golfing stats, aspirations as a golfer and challenges they were experiencing. As part of the workshop, we also analyzed Secret Golf's funnel to identify where the gaps were and pinpoint areas where leads were dropping off. With a significant collection of non-customers in the database and impressive partner and affiliate marketing efforts, we needed to look to data to understand how leads were moving through the funnel, where they were coming from and ultimately which ones were converting into customers. Leveraging industry benchmarks, we were able to identify a big gap at the top of the funnel. Despite significant traffic, for the trailing four months they were experiencing a 0.88% visit-to-lead conversion rate. From there, we dove head-first into auditing current efforts through three of our primary inbound services: Inbound Premier Services, SEO Premier Services and Content Premier Services. With a clearer picture of who potential subscriber where and what they interacted with online, we took an informed look at the performance of current marketing efforts in conjunction with topic, content and keyword strategy. Coming out of our content and SEO audits, we identified a high potential for growth with social media. Knowing their audience and their product and considering their positive success with social media, we felt this was one of the best areas to hone in on and enable one significant quick win: establishing a framework for social media publication and promotion. Based on our findings, social media was already generating 9% of the traffic. Applying our knowledge of their target audience to their social media activity trends, we realized that there were significant engagement and capture opportunities that weren't being tapped. Understanding this, we were confident that if we created a consistent social media presence that leveraged a variety of persona-specific content, we could increase both traffic and lead velocity. By defining this framework and then working with the team to complete the "topic area" sections to provide even further guidance, the Secret Golf team was then enabled to publish more frequently and consistently than ever before. Additionally, we used this framework to define where posts should be published. Being a video production company, 90% of content shared on social media was videos. Knowing we wanted to continue trend this but leverage HubSpot for social publication, we had to identify how video posts on Twitter, LinkedIn and Facebook would all differ in execution in order to appropriately track back into HubSpot. We used HubSpot Social for Facebook posts and uploading the video right to HubSpot. We used Twitter and LinkedIn, respectively, but created tracking URLs associated with the appropriate campaigns in an effort to create clear and accurate attribution for traffic and leads to specific social channels and campaigns. Ensuring that we had the correct tracking regardless of where posts were published was key to measuring KPIs. Once we defined this framework and trained the team on how to use it, we were finally able to put it into play. After four months, we saw staggering results. By implementing a framework and editorial calendar for social media, it not only eased the execution and management of their social presences, but also impacted social media-generated and total website traffic. In the four months following implementation, we were able to specifically increase traffic generated by social media by 300%. Additionally, Secret Golf's social contact to customer conversion rate grew 29% from 7.05% to 9.11%. We not only were able to influence the traffic generated from social media but also increase the number of contacts and customers generated. With the implementation of a standard framework built around frequent and timely publications, we were able scale their social presence quickly while seeing positive trends across the board. With this traffic source performing at a higher rate, we'll continue to work to dial-in the efforts in order to not just see a more leads, but more marketing qualified leads. Our relationship with Secret Golf will continue to evolve beyond optimizing social media to implement inbound frameworks for how they should be conducting campaigns on all other traffic sources. "Moving into 2018, we had big growth goals and we needed an agency that could keep up and drive that growth. New Breed has become a true extension of our marketing team and pushes us to do marketing activities or do them in a way we hadn't previously thought of. They're not only who I go to drive marketing strategy but to drive that strategy by leveraging HubSpot. It's so nice to have someone who's dedicated to making the most of our marketing automation. We look forward to continuing our relationship with New Breed." Interested in accelerating your growth with the help of a strategic partner? We'd love to discuss your unique growth goals and help you formulate a plan for achieving them in 2018. All you've got to do is reach out.